Analysts are sceptical about the latest round of sanctions and believe they will most likely prove to be ineffective. 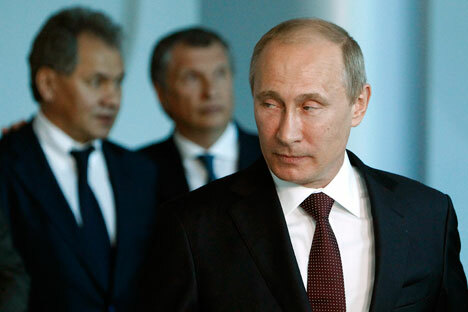 The U.S. imposed new sanctions against Russian companies and individuals. The new list includes, in particular, Rosneft Chief Executive Igor Sechin and the general director of the state corporation Rostekhnologii (Russian Technologies) Sergey Chemezov. The Russian Foreign Ministry has warned that Moscow would make a “painful” response to Washington’s decision. The new list also included the deputy head of the Kremlin administration Vyacheslav Volodin, Deputy Prime Minister Dmitry Kozak and Russian presidential envoy in Crimea Oleg Belaventsev. The sanctions also affect the chairman of the Duma Committee on Foreign Affairs Alexey Pushkov, as well as the head of the Federal Security Service Yevgeny Murov. In addition, sanctions were placed against 17 Russian companies. All of these are controlled by either Gennady Timchenko or Arkady and Boris Rotenberg, or the Rossiya Bank. The list of companies also includes several banks, such as Ivestkapitalbank, Sobinbank and SMP Bank. Russian Deputy Foreign Minister Sergey Ryabkov said the new U.S. sanctions against Russia would not remain without a “painful” response. “Of course, we will reply. We will never hide the fact that the possibility for such a response exists, and a set of measures that will be applied is rather wide,” Ryabkov was quoted by Interfax. He noted that, “this response will be painful for Washington”. No one has the right to speak the language of the sanctions with Russia, and any attempts to dictate something to us, set us ultimatums, will only turn against those who do this,” said Ryabkov. Yuri Rogulev, director of the Franklin D. Roosevelt Foundation for Studies of the U.S. at the Moscow State University, said that the list promulgated by the United States was predictable. “This is just a demonstration of their position. Indeed, for such a big country as Russia, such sanctions cannot have an instantaneous effect. However, I would not talk about a new Cold War or even very serious aggravation of relations; these are still just some additional cosmetic steps,” Rogulev said. Based on articles first published by Interfax and Gazeta.ru.